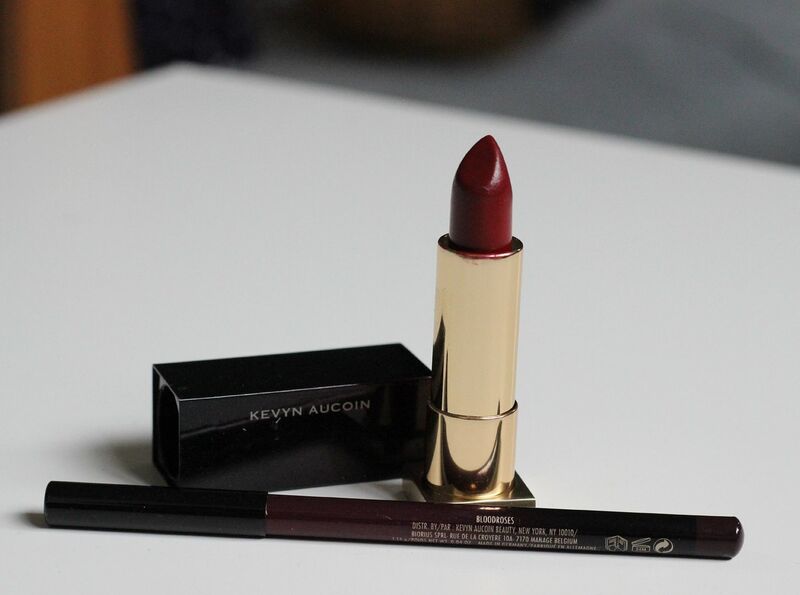 You know how much I love everything Kevyn Aucoin. One of my favourite looks ever that he did was on of Cher, with really glossy lids and a dark, dark glossy red lip. That red lip was Blood Roses, which is one of his iconic products. Blood Roses is everything you want from a dark lipstick – it is rich, saturated and it definitely is an actual blood red shade. Nothing too blue-based, or too orange… this lip is vampy and I think it would suit anyone and everyone. It is definitely a centre-piece for your makeup, and a colour that demands attention all on its own. I wore it with a bronze eye and a light bit of eyeliner here, but I think that it is a bit much and would definitely look even better on its own, with just clean skin and lots of mascara. I embrace the glossiness with this shade. I do normally prefer mattes, but this shade has such a richness that the formula of this just feels right. It isn’t drying, and it isn’t too smudgey or lipgloss-like. It does require top ups fairly frequently, and it is one that needs to be worn when you have close access to a mirror to keep an eye on it. This is not really a lipstick that will be forgiving if you wear it all day. High maintenance I guess. No, the finish just makes lips look quite sophisticated. I enjoy it. 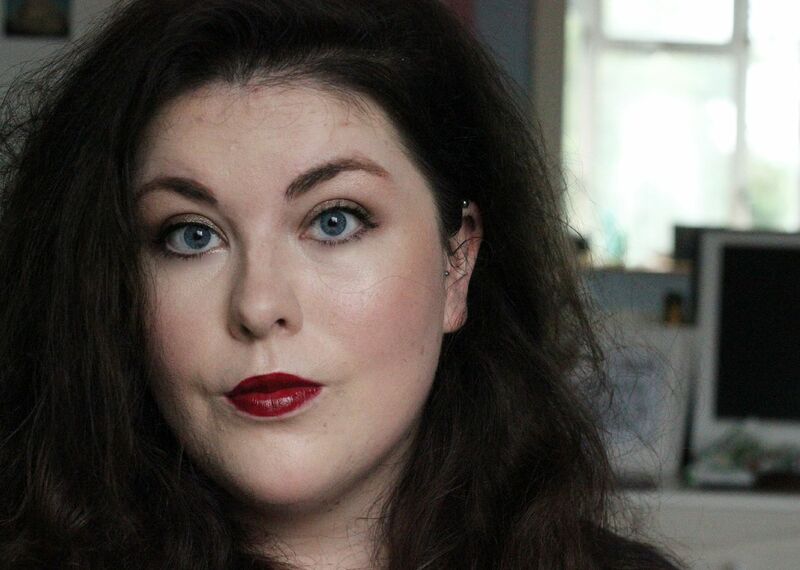 It is quite a dramatic lipstick, so I wouldn’t wear this everyday – I also quite like reserving it for fancy days, or days when I instantly want to feel more glamorous.